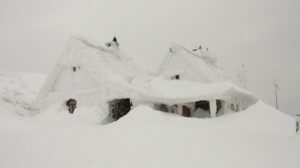 If you were one of the thousands of people in northern Missouri hit by this year’s Thanksgiving weekend blizzard, you may be thinking about better ways to prepare for the next time winter weather rolls around. 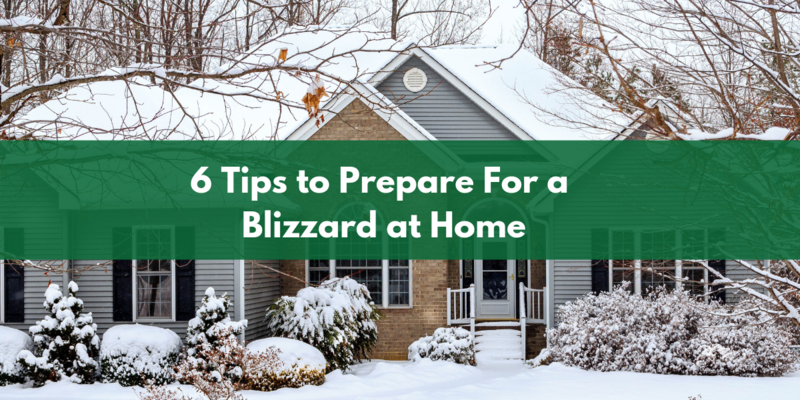 Check out this list of our top six tips for keeping yourself and others safe at home during a blizzard! You’ve probably heard the trick that salt melts ice. Similar to how cities salt roads before a snowstorm, you can sprinkle some salt on your front steps, walkway and driveway before the blizzard hits. This will help melt the ice before it sticks and leave you with a safer path outside of your home. Sand can also be used as a good trick to keep you from slipping on ice. After the storm, you can sprinkle ice patches with sand to make them less slippery. Pro tip: Buy only coarse sand (not play sand) and make sure to keep it inside for storage. Sand naturally contains moisture, which can freeze if left outside in the cold. Ever notice how the water aisle at the grocery store is always empty before a snowstorm? There is a good reason for that. Power outages can shut off your water, which means you’ll need a backup supply for drinking and flushing your toilets. You don’t need to only buy bottled, however. You’ll need some for drinking, but you can also fill large buckets and leave them somewhere they won’t freeze to use for flushing toilets and cleaning. Pro tip: Don’t have buckets? Fill up your bathtub and leave it until the storm has passed, just in case. Lowering the temperature on your refrigerator to its lowest setting will help keep it colder longer if your power does go out. The colder it is to start, the more time you have before your food will spoil. Pro tip: Below freezing outside? Put the contents of your freezer in a cooler and leave it outside until the power comes back on to keep your food from spoiling. Extreme weather can be hard on anybody, but older people can have a particularly rough time, especially with difficult tasks or physical conditions caused by power outages. If you’re able, make a point to visit your older family, friends or neighbors and make sure they have enough food and supplies to ride out the storm. You may offer to help them check generators, shovel driveways, make food or any other other tasks you can think of to make sure they’re safe and comfortable. 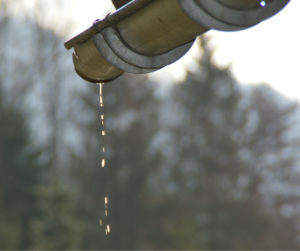 If your gutters aren’t clean, you’re going to want to clean them as soon as possible. The goal is to prevent water from freezing and damming, so if nothing else, at least try and clear the leaves around the base of your downspouts to allow the melted snow to drain. 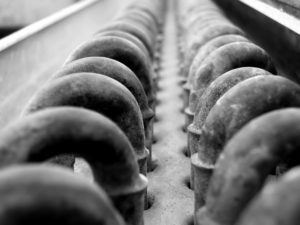 If you can’t clean your own gutters, we’d be happy to help you out. We offer gutter cleaning and other landscaping services to help you prepare for a storm. This is one of our favorite blizzard life hacks. Make clearing snow a breeze by spraying your shovel with a non-stick cooking spray before you start shoveling. The snow with slide right off without sticking, which will significantly speed up your process (and probably make it more fun, too). Hating the recent snow in Missouri? It could be worse! Check out these facts about famous winter weather in Missouri over theyears. In 1924, a massive rain, sleet and snow storm hit that covered a full three-fourths of the state with a solid sheet of ice.Atthat point, it was the longest and most severe storm to hitthe state since 1883. In 1951, an ice storm on Christmas Eve caused a huge disruption in the state’s transportation system and made holiday travel for Missourians a nightmare. March of 1960 became the coldest March on record at the time after several snowstorms at times leaving parts of the state with more than three feet of snow on the ground. 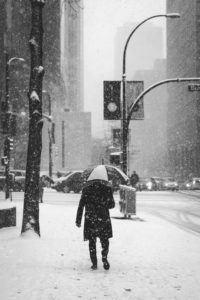 In the 1970s, some climate scientists began suspecting a miniature ice age after three abnormally cold winters slammed the state beginning in 1976-77. December of 1983 became the state’s coldest December to date after a series of frigid temperatures during the month. Our team of professionals in Columbia, MO can help you get rid of whatever winter weather mother nature throws at you. Our snow removal specialists will get rid of snow quickly from your residential or commercial property, leaving you with more freedom after a storm. We can even set up an automatic snow removal and be there right after the snow hits without you having to schedule every time. Need snow removal services? Contact Voss Land & Tree today!